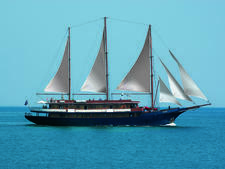 Launched in 2004 as a sister ship to Panorama, Panorama II is a two-masted sailing ship that can accommodate up to 49 passengers. 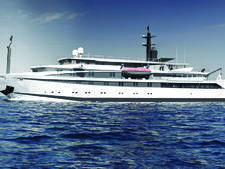 Panorama II's 25 cabins are spread out across the Upper, Main and Lower Decks. All are outside cabins. Upper and Main Deck cabins have windows, while lower-deck accommodations have portholes. Cabins range in size from 100 to 172 square feet, and they're available in three categories: C and B are located on the Lower Deck; each cabin offers twin beds or a double bed. 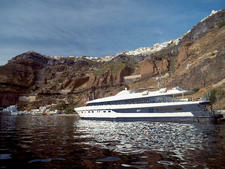 A-class cabins are each located on the Main or Upper Deck and offer either twin beds or a double bed. All cabins are air conditioned and have TVs, minifridges, direct-dial internal-use telephones, safe deposit boxes, hair dryers and bathrooms with showers. Cabin decor has a nautical feel, with light fabrics and dark wood trim. The warm-weather Greek itineraries mean that lots of emphasis is placed on time outdoors. An aft Sun Deck is equipped with loungers and chairs; there's also a swimming platform for dips in the aquamarine waters (when weather and anchorage permit). Water sports equipment like kayaks and snorkeling gear is available per request. Indoor space consists of a lounge with a small library, a flat-screen TV and comfy sofas for relaxing with other passengers. The indoor bar and restaurant are located on the Main Deck (although in nice weather, meals are served alfresco). A cruise coordinator provides destination briefings and shore excursion information; on one itinerary, "Antiquity to Byzantium," an onboard archeologist offers lectures. Wi-Fi is available at an additional cost. The passenger mix on most of Variety Cruises' ships is roughly 40 percent American and 50 percent European, with 10 percent Australians. Launched in 1992, Galileo is a motor-sail ship that underwent a radical renovation in 2007 to expand it from two to three masts. 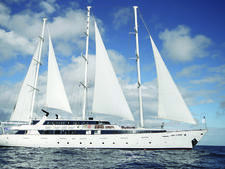 Panorama is a three-masted sailing ship that can accommodate up to 49 passengers. 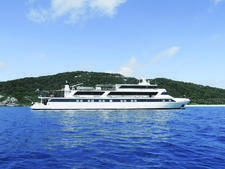 Panorama's 25 cabins are spread across the Upper, Main and Lower decks. Launched in 1990, Pegasus is a 148-foot motor yacht that has undergone several renovations, its most recent during a 2014/2015 dry dock. 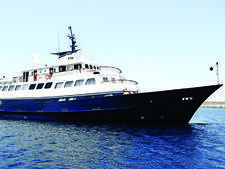 The 2001-launched Harmony G is a yacht-style ship in the small-ship fleet of Athens-based Variety Cruises, receiving its most recent update in 2009/2010. Sleek and almost futuristic-looking, Harmony V is a 49-passenger yacht-style ship that sails the Greek Isles, Western Africa and the islands of the Cabo Verde archipelago. Great for people who don't like the crowds of large cruise ships, Voyager feels more like a luxurious yacht, with 36 cabins and a sleek, modern design. 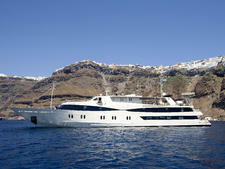 A small ship yacht that's big on charm in the Adriatic, Callisto is the antidote to today's mega-ship madness.